Recycling is important everywhere from home to the workplace; it helps to reduce the amount of rubbish that ends up in landfills helping to save the environment in the long run. 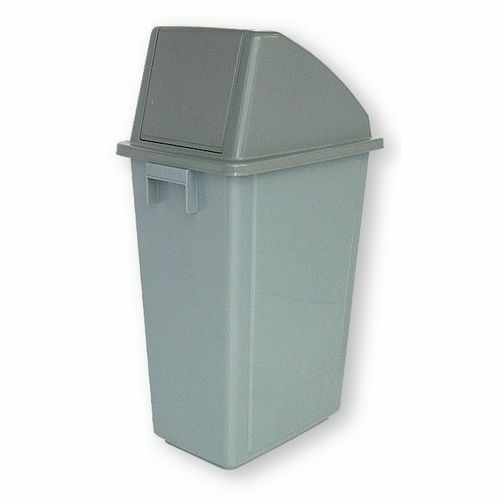 Our slim recycling containers are ideal for keeping around and using to segregate waste for easy recycling. The bins have a 60 litre capacity and the sturdy containers are suitable for multiple indoor applications and can be used for centralised collection. The bins are easily identifiable with front facing recycling lids with openings. There are three lid types to choose from; a circle opening, push flap or slotted, depending on your recycling requirements one will suit your needs. There is also a choice of lid colour; grey or yellow and the dimensions of the bins is H x W x D: 790 x 330 x 480mm. Our slim recycling containers are a great addition to the workplace offering a simple solution for recycling requirements. They come with a 12 month guarantee and are available for Next Day UK Delivery.